This is very sad. Many were were killed in a fatal accident which happened on Saturday, May 26 along Ohafia Abam in Abia state Nigeria. According to reports, the tragic incident which caused a scene in the area - claimed the lives of 7 passengers in a Passat car and 2 persons on a motorcycle. 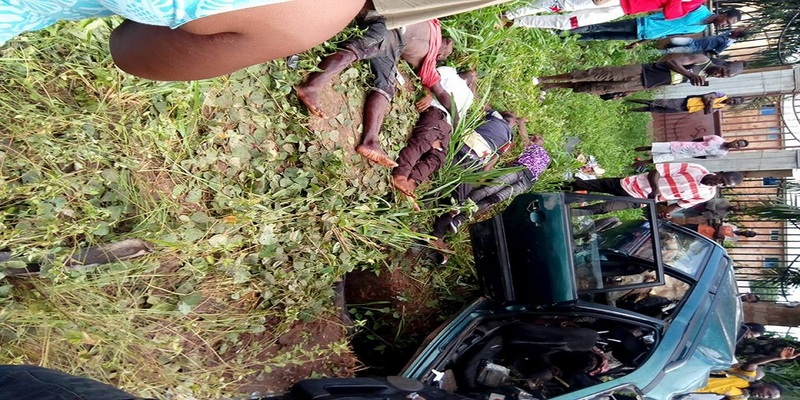 According to information gathered, the driver from Asaga whose wife reportedly gave birth to a baby girl was killed in the crash including a newly wed lady who just did her traditional marriage few days ago and was on her way going back to Umuahia, Abia state capital.